This object is currently on display in room 213 as part of Passion for the Exotic: Japonism. 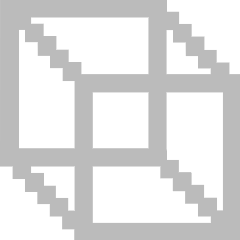 This object has no known copyright, and as such we offer a high-resolution image of it. See our image rights statement. 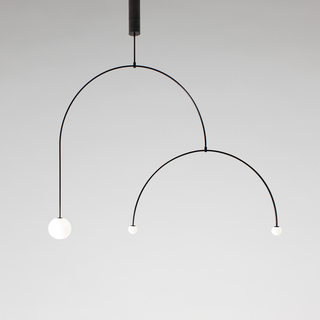 See more objects with the tag organic, decorative, glass, lighting device. 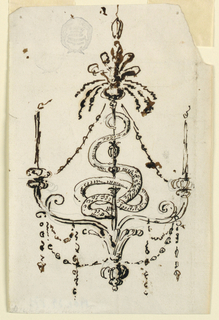 This is a Chandelier. It was produced by Tiffany Studios. We acquired it in 2018. Its medium is patinated bronze, blown glass. At least four Tiffany lamps as well as a Turtleback tile chandelier originally lit the Teak Room, as can be seen in the photo to the left. 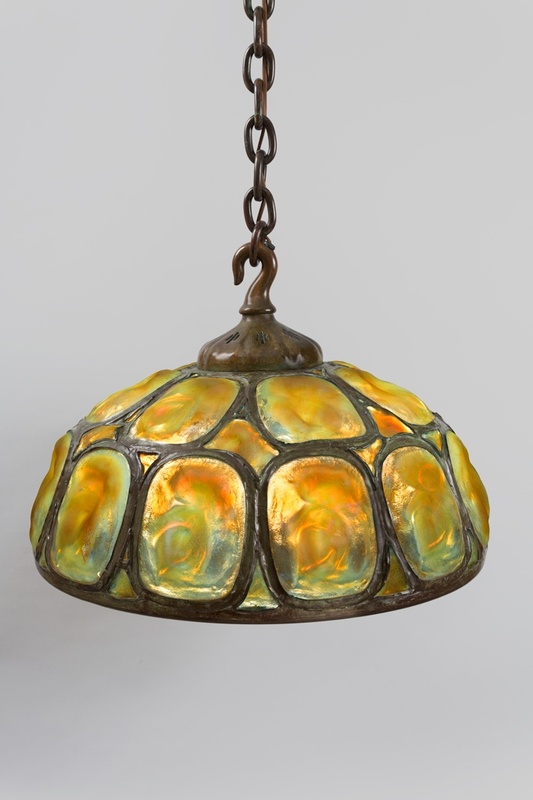 Turtleback was the name of Tiffany Studios’ rectangular glass tiles featured on the chandelier and the inkwell box nearby. 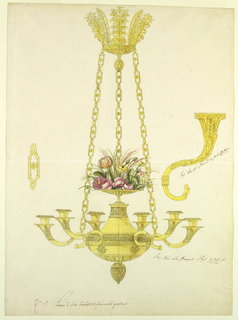 The chandelier’s Moorish-inspired cap lent a note of exoticism that complemented the overall scheme of the room. This object was purchased with funds from: Pam and Tom Gerfen/RMW Acquisition Grant. This object was previously on display as a part of the exhibitions	Passion for the Exotic: Japonism and Passion for the Exotic: Louis Comfort Tiffany and Lockwood de Forest.